When you are facing difficult estate planning decisions or are working through a complicated probate process, professional legal help is an invaluable resource. 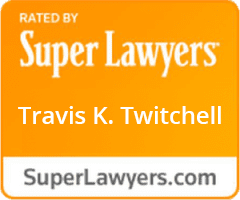 At Bowler Dixon & Twitchell LLP, we understand how difficult it is to find quality representation you can trust. Our team has decades of experience in estate planning, probate, and other related areas. You can count on us for effective legal counsel. Our Las Vegas estate planning lawyers have carefully crafted our practice to accommodate the growing and changing needs of our diverse client base. We want to be your one-stop resource for all of your estate planning and probate needs. You deserve respect during your legal journey. We will patiently listen as you explain your situation and help you understand the laws surrounding your case. We want to ensure all of your questions are answered and that you have all the information necessary to make the best decisions for your case. Estate planning and probate can be complicated. Do not let confusion hinder you from protecting your future. Contact us today to set up a consultation with a Las Vegas probate lawyer at our firm! When you secure our representation, you will retain a partner who can guide you through the process, no matter what type of issues you are dealing with. We believe that the client-attorney relationship is crucial to success. We strive to be available to our clients at all times, offering confidential case consultations and Spanish legal services. Our team has been recognized for our superb service. 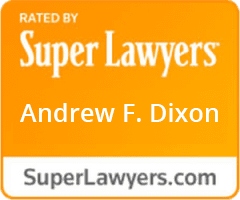 Additionally, we have been selected for inclusion in the list of Super Lawyers®, which means that we have been honored as a top firm in the Las Vegas area. We also have an A+ Rating from the Better Business Bureau, which means we are a reputable, law-abiding business. We are the law firm you can trust. We will make your case our top priority. We will always give you the personalized attention you deserve. We provide insight and guidance regarding every aspect of estate planning.